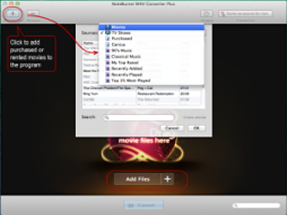 NoteBurner M4V Converter: Convert DRM M4V movies on Windows & Mac . I want to get the Samsung Galaxy S5 because of the bigger screen and more features but I am used to IOS and have invested a lot in iTunes Movies. How do I get used to Android? I've never had Android but I really want the Galaxy S5 to try it. Shall I switch from IOS to Andorid? Please help me. Rumors have been swirling for months regarding the form factor of the upcoming Samsung Galaxy S5. We can expect a host of new features in the Samsung Galaxy S5, but many of which remain unknown. Abviously, the rumors of Samsung Galaxy S5 has created a positive situation for its release. From the below estimated specifations, Samsung Galaxy S5 would be an impressive competitor in the first quarter of 2014 for its rivals. The Samsung Galaxy S5 is really a big attraction as one of the most-discussed smartphones at the end of this year. For people who wants to switch from IOS to Android, Samsung Galaxy S5 is a nice choice. 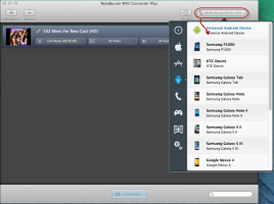 If you have invested a lot in iTunes movies, you can convert DRM protected M4V movies for playback on Galaxy S5 with NoteBurner M4V Converter Plus. As we know, iTunes movies are DRM protected. That is why the movies or TV shows you download or rent from iTunes store can only read properly via iTunes or on Apple devices. NoteBurner M4V Converter Plus is a powerful and professional DRM removal tools. It can convert both your purchased and rented movies to unprotected videos so that you can transfer HD iTunes video to Samsung Galaxy S5 for playback. You can download the evaluation version and follow the below instructions to give it a shot. Step 1: Launch NoteBurner M4V Converter Plus after you download and install it. 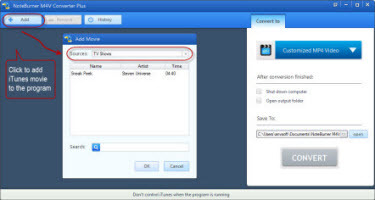 Click "Add" button on the upper left of the interface and then import the movies or TV shows you need to convert. 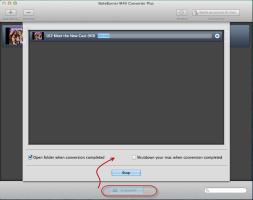 Step 2: You can choose "Customize MP4 Video" file and change the parameters on your own. The DRM M4V Converter provides flexiable options to customize output video. You can change the video codec, biterate, size and even remove the scenes you do not need to preserve. Step 3: Click "Convert" button to start the conversion. Once it finishes conversion, you can open the output folder to find the converted video file. Now you can transfer the converted iTunes movies to Samsung Galaxy S5 and watch the videos on the high-definition screen. NoteBurner M4V Converter Plus can solve your problem easily. If you have purhcased or rented lots of movies from iTunes store and now want to try Android devices like Samsung Galaxy S5, it is an indispensable DRM removal tool for you.